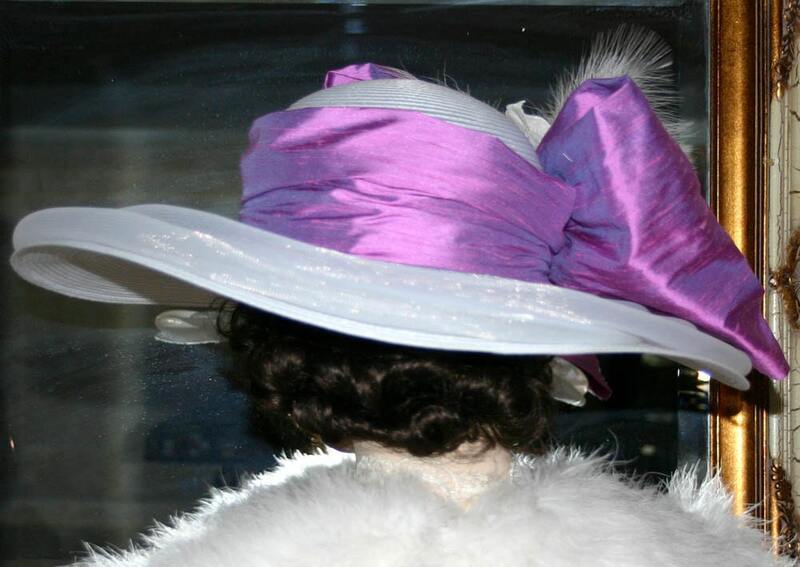 Edwardian Hat "Harlequin" is made of white designer horsehair and the brim measures a full 18 inches in diameter. 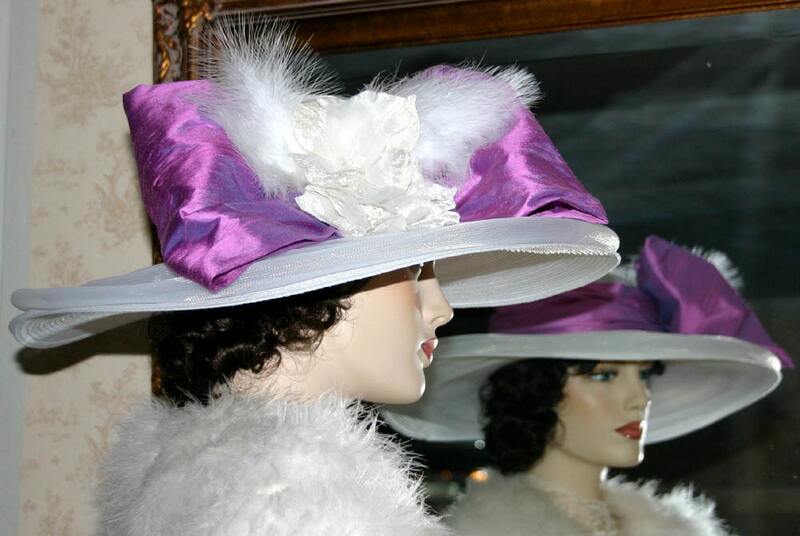 It would look beautiful for that special tea party, church, cruise, wedding or Easter! 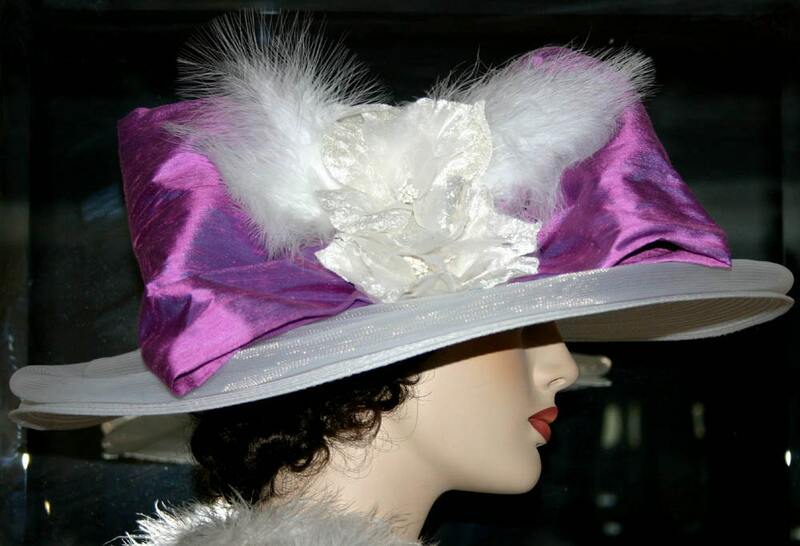 It is adorned with a gorgeous pink silk shot with blue silk bow and hat band. 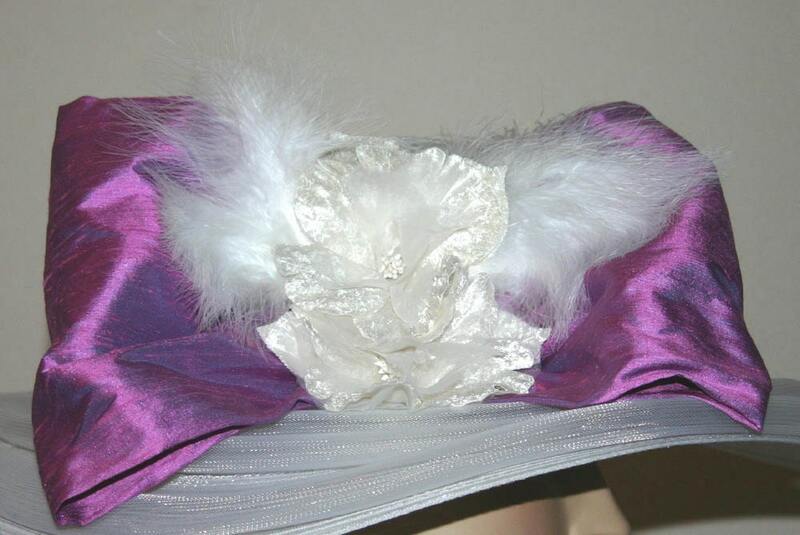 There are delicate white velvet millinery blossoms and dainty white feathers accenting the bow. 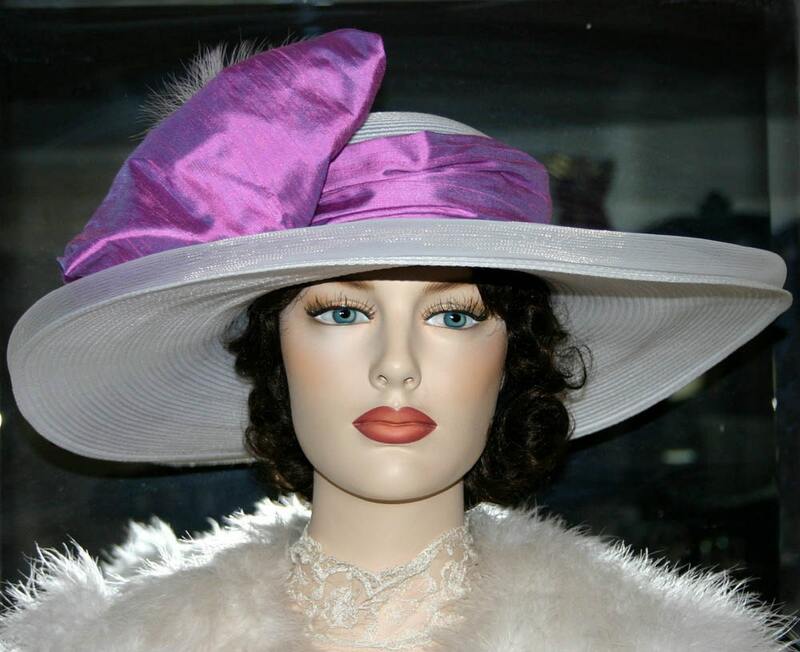 Very fashionable and elegant!